Do you worry that your email marketing campaigns are getting filtered to the spam boxes of your Gmail subscribers? It’s perfectly likely. Gmail is getting better and better at filtering what it thinks are spam messages from ever reaching the user. According to a recent study, only 79% of commercial emails ever actually land in the consumer’s inbox – meaning the rest are filtered or blocked as spam. Gmail has a specialized algorithm that filters every email that comes through to make sure it’s not spam. It’s likely that the platform filters hundreds of emails daily from reaching one users inbox – which is very impressive, until it starts affecting you and your legitimate marketing campaigns! It’s important to maintain a good reputation with your senders, and that includes making sure that your emails make it to them without getting flagged. So what types of language should you avoid in order to make sure that your email marketing campaigns are actually reaching your user, and not just being flagged by their email platform? If you’re using all caps in your subject line or throughout the body of the email, it’s likely that Gmail will classify you as spam. There’s not really any rhyme or reason behind why you should include uppercase letters excessively in your email campaigns, and you can emphasize your message without doing so. Just keep in mind – have you ever received a legitimate email from a reputable company that used words or phrases in all capital letters throughout? Probably not. Don’t stage your email like it’s a reply to a previous email, or like you’re forwarding something to make it look like a sender in their contacts forwarded them something, just to get them to open it. Spam filters can easily pick up on tricks like that, and it’s just a deceptive practice that only serves to get you blocked or reported by the user. You will definitely get marked as spam by Gmail’s delivery services if you present your subject line with a false statement, such as “congratulations” or “you’ve won!” to make your user click through. Don’t pretend that the user has won something or is receiving something special in the subject line – misleading the user will lead to you being blacklisted by Gmail. Avoid using words like prize, free, bonus, purchase, etc too many times in your message – Gmail won’t like the overuse of language that sounds too much like sales. And, it’s actually illegal to intentionally mislead a consumer with the subject line. 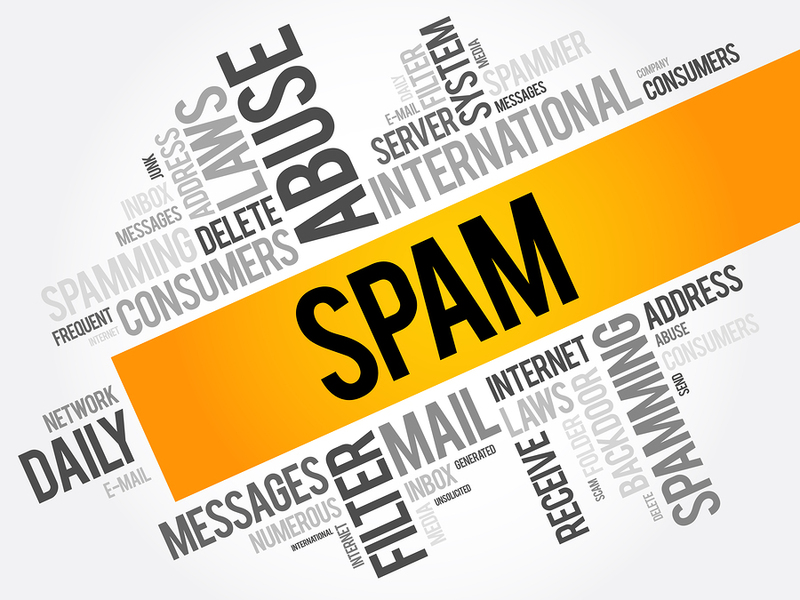 This blog explains the ins and outs of using that type of language and how to avoid the spam folder. Don’t mark your email marketing campaign as urgent in the subject line in order to get your consumer to open it. This will definitely get you filtered out as spam, but more importantly, it’s not urgent. Your subscribers don’t absolutely need to open the email as soon as possible. So don’t mark it as urgent, and don’t get marked as spam – a win/win situation. Don’t use the words “check” or “money order” in your marketing campaign at all – you will absolutely get black listed and head straight to the spam inbox, where your email will sit right next to all of the other spam emails that users receive with spammers asking for money. It’s not good practice to use that type of language to reach customers, and it’s definitely something that you should avoid using at all costs in order to keep yourself from being blocked. Avoid using “risk free” in your emails because, well, that implies that there absolutely is a risk involved. Your users are accustomed to receiving spam messages that involve this type of language, and, fortunately, so is Gmail. It’s likely that they’ll filter your messages if it involves language like risk free, low risk, or any similar language. 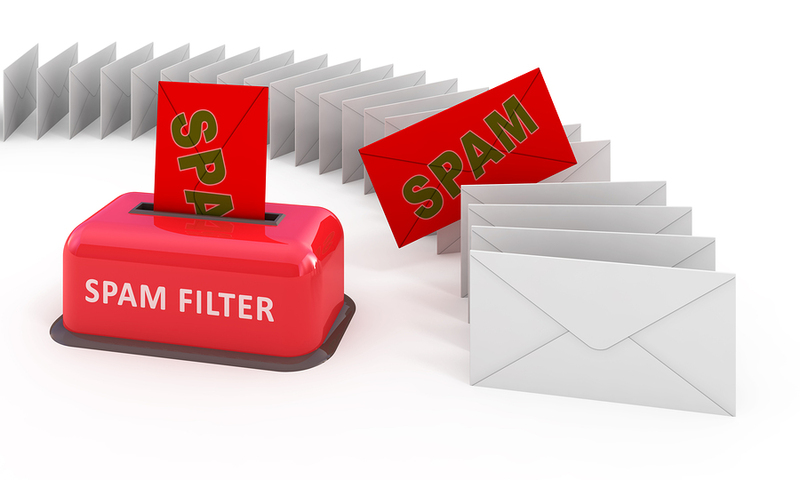 So don’t include “risk free” in your messaging – and you’ll stay out of the spam filters. Don’t promise your users a certain dollar amount so that they can purchase your product. Imagine an infomercial, with the host saying, “And, for just $400 dollars and three easy payments of $29.99…” Do you buy that? Neither does Gmail, and neither do your consumers. Try to avoid calling out a specific price range so that your customers don’t feel like they’re being duped by your email marketing campaign messaging. Using exclamation points in your emails, especially your subject lines, can get you marked as spam by Gmail. It makes it seem like you’re shouting at your users, and it’s also not grammatically correct – users might be less likely to trust you if you’re not using correct grammar in your email marketing messages. Keep out of spam filters by keeping the exclamation points (and your excitement about your campaign) toned down a little bit so that you don’t get blocked. If you’re looking for more best practices on how to make sure that your emails don’t get marked as spam, there are many great blogs online that can help you figure out what works and what doesn’t. For more trigger keywords that will get your emails blocked from Gmail delivery, click here. When it comes to successful email marketing, it’s all about a solid combination of having something great to offer to your audience, knowing how to deliver it to them through email, and also making sure your subscribers are the highest quality possible. This is something we help all of our clients with, as we continue to deliver thousands of 100% opt-in email subscribers daily. We only partner up with the highest quality sites, and each email is verified and real, which means you list quality and subscribers will only continue to help grow the ROI of your business and brand as well. To learn more about this process and getting started with a campaign of your own, contact us today!